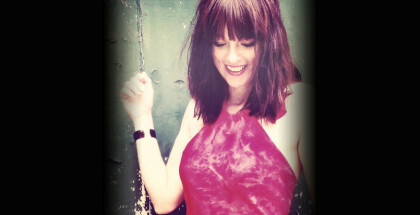 The inspirational Jazz singer and pianist Joanna Eden is sometimes compared with Nora Jones and Diana Krall. She’s performed her original jazz influenced music internationally and received rave reviews for her albums. 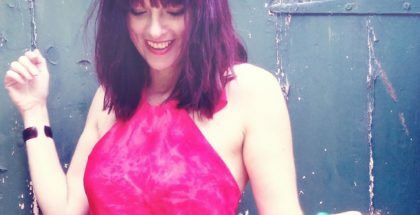 Interviewer Anthony Weightman chatted to her ahead of her performance at The Pheasantry in London on April 12th, 2019, a celebration of the life and magical music of Joni Mitchell. Anthony Weightman: Many believe that Joni Mitchell is one of the greatest songwriters of the late 20th century. I went to see the film Joni at 75 last week and it was clear that other artists held fond memories of her, saying she was awesome, extraordinary, a perfectionist, an adventurous spirit, even a goddess, but also a “difficult sod”. Why did you personally decide on an evening to celebrate the life and music of Joni Mitchell ? Joanna Eden: Yes, I think she was all of those things. It’s strange. I’ve had a weird relationship with Joni Mitchell. People often commented that I sounded like her and I didn’t know who she was. I think I’d heard something quite esoteric, maybe one of her later, jazzier albums. I was not able to get into it when I was very young and found her voice quite irksome. Then I started doing gigs in London and Time Out started calling me “Joni Mitchellish”. Other musicians told me I had to look on that as a compliment. I listened to Blue and that was an epiphany moment. My initial contact had been the wrong time to hear her. Some of it is harder to get to and you need to start on a gentler album. It started off with me fighting her and then becoming totally absorbed. I still love the earlier stuff. Anthony Weightman: Joni once said: “I don’t like being too looked up at or too looked down on. I prefer meeting in the middle to being worshipped or spat out”, so do you think it’s difficult to know how she personally responds to praise about her ? Joanna Eden: One of the things I love about her is that she’s completely fickle. She’s driven by her mood. There are times when I imagine she absolutely loves people to admire her. She complains that Bob Dylan gets called a poet and she gets called a songwriter. So, I think she does want acclaim. I imagine she wants respect more than anything. She’s feisty and, as some people are saying, she can be an awkward sod. She has courage in her conviction and stands by what she has said, even if that can’t be completely rationalised. 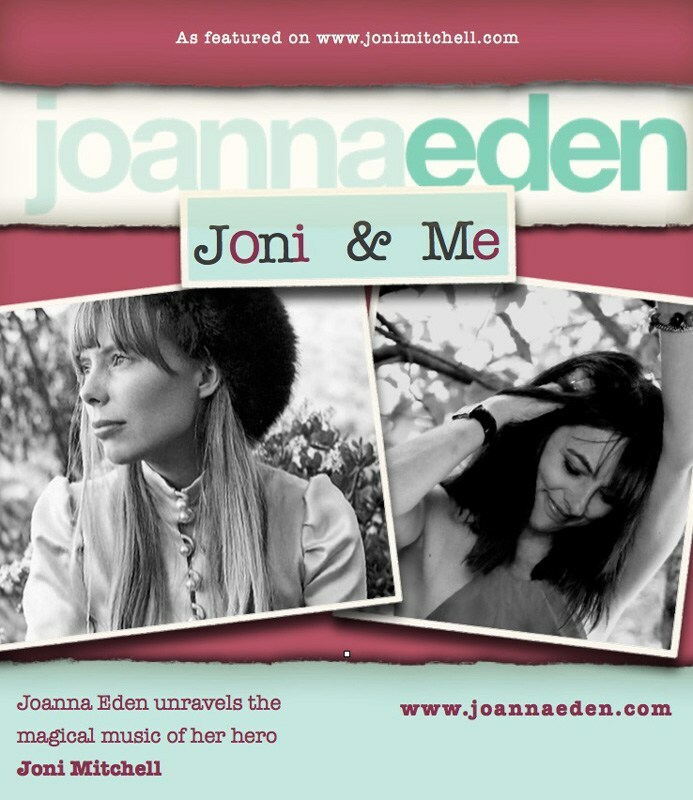 Anthony Weightman: Joni once observed that “People used to say nobody can sing my songs but me – they’re too personal”. So, is it that, in more recent times, attitudes have changed a bit and other singers are prepared to give Joni’s songs a try, even if the originals are a tough act to follow ? Joanna Eden: She may well say that and it’s true that nobody sings a song like the songwriter themselves, but on her web site she celebrates people performing her music. On her home page I can see my gigs coming up. It’s a complete thrill and an honour. At times I get a thrill out of copy cat singing and at other times I want to take things my own way. There are times when I feel intrusive, but I can’t help myself. It’s so personal. There’s so much honesty and laying bare. Anthony Weightman: At the moment there’s a focus on celebrating the 50th anniversary of Joni Mitchell’ssecondalbum Clouds. It won a Grammy Award for Best Folk Performance in 1969 which was a turbulent year. It was the year of Woodstock and a time when the American public were divided over the Vietnam war. Some think that it’s vocally her most beautiful album. How do you personally feel about it ? Joanna Eden: I love it. I feel like it’s a journey to her finding her zenith. Coming from the folk world into more popular song and presenting a really cohesive image through her songwriting and the way she looked. The media could go “Ah, that’s what you are”. People call her a goddess and at that time she was a goddess. She harked back to ancient stories. She read a lot of Tolkien and she was playing the part of this Gothic princess. It’s intoxicating to see her at that time. She’s so pure, timeless and natural looking. She was reaching for her place to be discovered. Anthony Weightman: Looking at clouds from both sides is a well known metaphor for the ambiguity and mystery of life. Listening to her year 2000 version of ‘Both Sides, Now’, with orchestration, I felt it wasn’t necessarily a better version than her original recording, merely a different one. Joanna Eden: I prefer the original one, but I do like the orchestrated one with the older voice at the other side of her life time. I love the fact that she was so young when she wrote the lyrics which are so wise and old soul. The other version is a mirror of it. So very poignant. Anthony Weightman: Joni once said: “What I do is unusual: chordal movements that have never been used before, changing keys and modalities mid-song”. In ‘Songs to Ageing Children Come’ there are some some very unconventional harmonies. Joanna Eden: They are freaky little harmonies. It reminds me a bit of early Kate Bush. A fairy voice. Even the publishing company sounded like Tolkien. She’s definitely in another world, in this song especially. Anthony Weightman: Joni remembers the ‘Chelsea Morning’ era as “a young and very lovely time” in Chelsea New York and the visual inspiration, caused by light being filtered through coloured glass, helped make the song sound fresh. Joni once said: “I don’t like to make fluffy little songs, but now I want to make some light songs” and this is probably an example of one of her lighter songs. Joanna Eden: It is. I think it’s such an expression of joy, quite unusual for her. There’s nothing negative. There’s nothing you can read darkness into. I talk with my students about this one. It’s a sensory experience. The first verse is what you hear. The second is what you see. The third is the other senses. She’s completely absorbed here in the sensory world. She’s painting a picture for us using the senses. Anthony Weightman: ‘That Song About the Midway’ is a stunning song about an obsession with a mysterious, energetic and slightly dodgy carnival worker. There’s an amusing comment by Emmylou Harris that, when she first heard the song, for a moment she felt like quitting. Joanna Eden: You either have that feeling or total inspiration, depending on the day. Anthony Weightman: To me, ‘I Don’t Know Where I Stand’ is a beautiful song about the uncertainty of new love, with all the awkwardness and hesitation. How do you feel about this song ? Joanna Eden: It grabs everything that is true about that feeling.She writes in a very poetic and visual way. So sensual. So beautiful. It’s all a dream. It’s like she doesn’t trust in the permanence of relationships. We’ve been the beneficiaries of those failed relationships. She’s the voice of doubt. Anthony Weightman: ‘The Gallery’ instead looks at lovers who have a relationship that’s in decline. Joni once said “my goal as a writer is more to comfort than to disturb”. It’s a sad and serious song, but also very light hearted and humorous. Joanna Eden: I’m thinking I should do that one. I guess there’s comfort in truth and she’s all about laying bare. No mystery and no secrets and say it like it is. She seems to pride herself in understanding the motivations of the men in her life, knowing her place and knowing she’s just a passing phase. It’s very cynical and honest. Anthony Weightman:‘Tin Angel’ is another song about lovers that could possibly be described as slow, stark, elegant and hypnotic. Joanna Eden: A very spare and minimal beginning. You need confidence and conviction to start a song like that. It’s like saying: “You’re going to listen. You can wait for me”. It’s bare. About today. There’s no guarantee of any tomorrow. It’s a fairy tale, because love to her is like a fairy tale. Anthony Weightman: With Clouds we also have a wonderful, very colourful self-portrait of Joni Mitchell on the cover. Anthony Weightman: On the Ladies of the Canyon album was ‘Woodstock’, the counter culture anthem about the 1969 festival containing the passionate plea “we’ve got to get ourselves back to the garden”. In an interview Joni once said “I see the entire world as Eden, and every time you take an inch of it away, you must do so with respect”. There are many versions of this song. Crosby, Stills, Nash & Young did a rocky one and Matthews’ Southern Comfort an arrangement with a dreamy feel, but to me it was the graceful original by Joni that had a haunting quality. Joanna Eden: Yes, I feel it’s very rooted in the earth. The harmony she’s using makes me think of native American, especially when she goes into the very high improvised warbling at the end. It’s like a very sad message from the natural world. The potential of that festival was to do something about the world. There was talk of a whole new way of being. Anthony Weightman: Joni once said: “I find a lot of poetry to be narcissistic”. This is, presumably, a comment about poetry in general, but in her lyrics I’ve never found anything which suggests vanity, arrogance or an excessive admiration of herself. Quite the reverse. Joanna Eden: She is self obsessed, but that’s not narcissism. It’s an obsession with finding, sharing and knowing her truth, but it’s not about self worship. It’s preachy, as much as Bob Dylan is preachy, but at that time in history there were prophets who were speaking out. It’s about finding a better way. Anthony Weightman: Joni once said about her music : “The songwriting was almost like something I did while I was waiting for my daughter to come back”. It’s quite a sad comment. Here she’s referring to the adoption of her daughter when she was a young woman. Do you get this feel about her music, that she was patiently marking time ? Joanna Eden: Maybe there’s something about that loss that meant she had given up on peace. Maybe something had filled her with such pain and guilt. Maybe that was her mission, to make peace with herself over the years. Anthony Weightman: “There are things to confess that enrich the world, and things that need not be said”. This is something that Joni once said. It’s impossible to comment on what she’s chosen not to say, but I do feel the world is a better place because of her music. Joanna Eden: Yes, it’s definitely an insight into a woman’s mind. It’s about a woman’s truth through music. I can’t really imagine what she didn’t say, but she seems to have said it all. She’ll keep those secrets. We’ll have to guess what they are. Anthony Weightman: Joni once said: “I have a tremendous will to live and a tremendous ‘joie de vivre’”, so perhaps we should be wishing her good health and success in fighting those demons that have plagued her health throughout her life. Joanna Eden: Also, in writing poetry, you often bring out the dark side. So, people will assume she’s someone who walks around miserable all the time. It suits the listener to believe the poet is living this miserable life because it fits with what they hear. But I really hope that she’s had great times. In terms of polio, I just admire her from turning that around. A life force just pours out of her songs. She must be standing up in her living room yelling angrily about the world, but there may be those moments when she has absolute glee and wonderment.